After a four year wait, Horrorshow’s third album King Amongst Many is finished and set for release August 2nd. 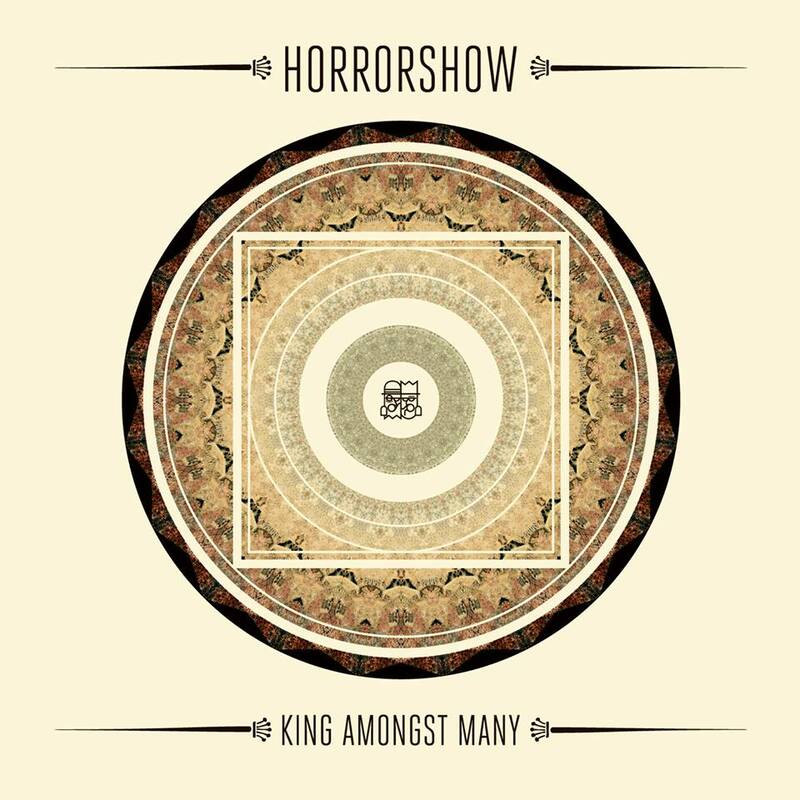 If their first two albums established Horrorshow as one of our finest young acts, King Amongst Many may be the album that defines them as one of our finest acts. One of local hip hop’s most loved bands is back with one hell of an album. Armed with an immediacy thanks to the production, melodies and flows – from the inter-generational and biographical Down The Line to the starkly honest lost love of Waste Your Time – King Amongst Many is an enduring rewarding listen. The vision is bold and customarily sincere, catching Horrorshow clearly in their own lane, a refreshing counterpoint to ‘like’ obsessed hip hop. The difference in the duo’s dynamic may be the key to their unique chemistry. Adit produces the music and works swiftly: a prolific and energetic personality behind multiple musical projects. Solo carefully carves out songs, organising concepts into lyrics and hanging them as photographers once developed film in darkrooms. Time consuming. It’s their combination of soulful production and poetic turn of phrase that people don’t just embrace, they memorise and get them as tattoos, then scream them back at Horrorshow during their live performances. At times challenging, at others heartwarming – King Amongst Many is always insightful – it might be one of the best rap albums you’ve heard this country produce. We recommend that you head over to the King Amongst Many pre-order page and check out some of the cool bundles & bonus’ you can pick up. There will also be a vinyl release of the LP.